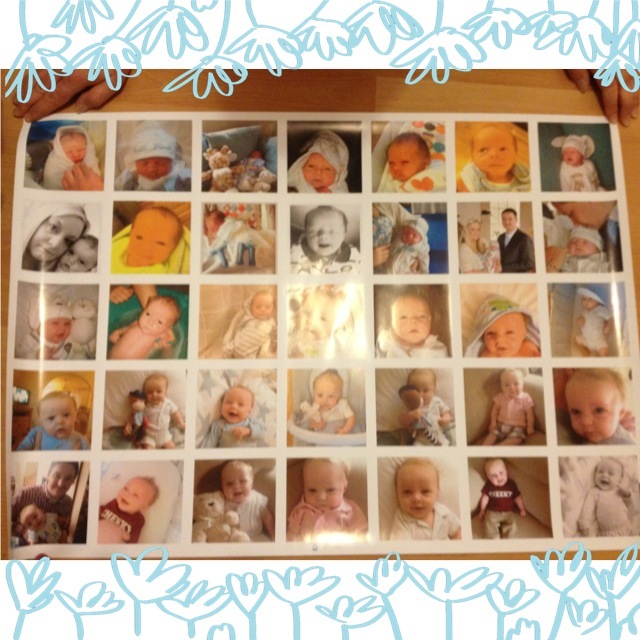 As most mums do, I absolutely LOVE having photos of my baby boy dotted around everywhere! With life as fast paced as it is today, I find that most people - myself included - tend not to carry digital cameras around with them as much anymore, Instead most of us tend to take snaps on our phones. With camera quality on phones so good now, its just so much more convenient to do! But the problem with this is that it can mean we don't always get around to uploading our photos to our computers or having any prints made. Imagine if anything happened to our phones and we lost our precious photos?! The thought of this really scares me so I try to have prints done every few weeks! I was recently asked to try a new website, Posterfriend, and I was SO impressed! 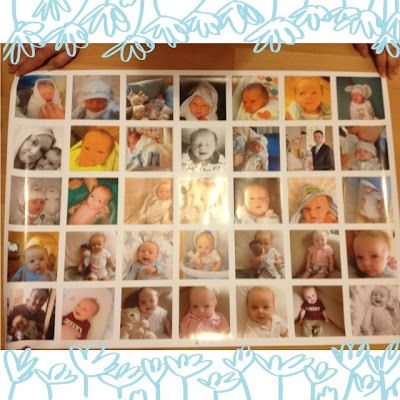 Posterfriend offer the opportunity to create personalised poster collages of your pictures - directly from Facebook! So you don't even need to upload your photos, you just log into Facebook and your pictures are all there for your to choose from! The website ran so smoothly and was SO user friendly. You start by selecting the poster size you want - I went for the A1 landscape, but you can also choose A1 portrait, 59 x 59 cm square, A2 portrait, A2 landscape or 42 x 42 cm square. Prices start at £12 for the smallest print, and the print I chose was £25 - which I think is such a bargain! Once you have selected the size, you can then choose how many images you want to include on it. I chose 35 as I wanted to make sure the overall effect wasn't too overwhelming, but you can choose to have 63 or even 108 pictures included if you like! The process of adding and removing pictures is simple, and it is so easy to re-arrange them all - I tried to make mine so that they show Tyne in age order, and it took just minutes to do! Once the poster was created, I checked out and looked forward to my poster arriving. Two days later, there it was! I could not BELIEVE how quick the delivery was! I am THRILLED with it and can't wait to display it in a nice frame in our new house. I think you'd be hard pushed to find something that equals Posterfriend in ease of use, quality and price. They would make wonderful gifts for friends or family, capturing favourite holiday snaps or favourite images from the past year, etc. These look awesome! 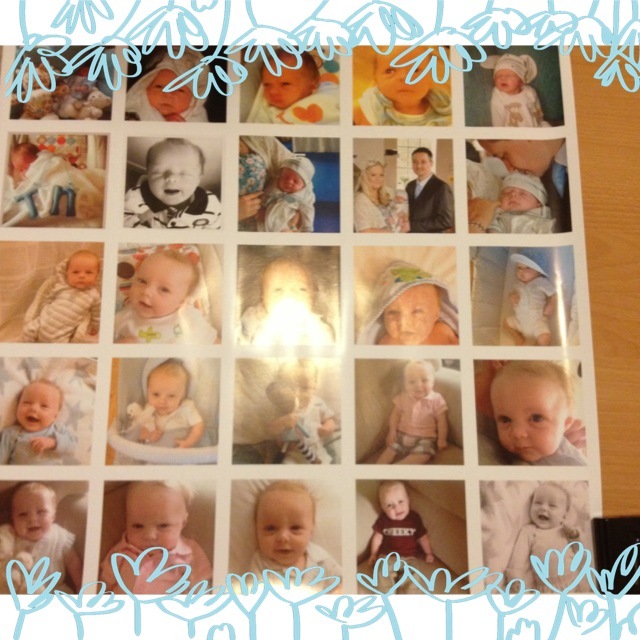 I have so many pics of both Stacey and Oscar that need printing off. Something else I was saying to Nathan earlier. Are you eavesdropping on my conversations mrs?! Lol.